NY Prize awards money to 83 projects for feasibility studies. The NY Prize community microgrid competition issued a request for proposals in February to grant $100,000 to as many as 30 communities to study the feasibility of microgrids. This week, the New York State Energy Research and Development Authority announced 83 winners for the first stage of the competition, nearly three times the original estimate of awardees. NYSERDA received applications from more than 120 communities. “The large number of awardees for microgrid feasibility studies does indicate that NYSERDA is serious about investigating different microgrid business models,” said Omar Saadeh, senior grid analyst with GTM Research and author of the new report, North American Microgrids 2015: Advancing Beyond Local Energy Optimization. The $100,000 awards most likely will not even cover the cost of the engineering studies. It is meant to animate a market that currently doesn't exist. NYSERDA hopes that the NY Prize will help unleash private-sector capital and identify viable projects that should be considered. The projects are spread across the state, with nearly one-third in the mid-Hudson region. Many, but not all, fell within utility-identified "opportunity zones," or areas where the utility has local constraints on the distribution grid. In all regions, resiliency is a key issue. That is not surprising, as one of the fastest-growing areas of microgrid development is in the domain of critical infrastructure, according to the new microgrid report from GTM Research. Only island microgrids are growing at a faster rate. Across the U.S., microgrid capacity is expected to more than double by 2020, according to the report. 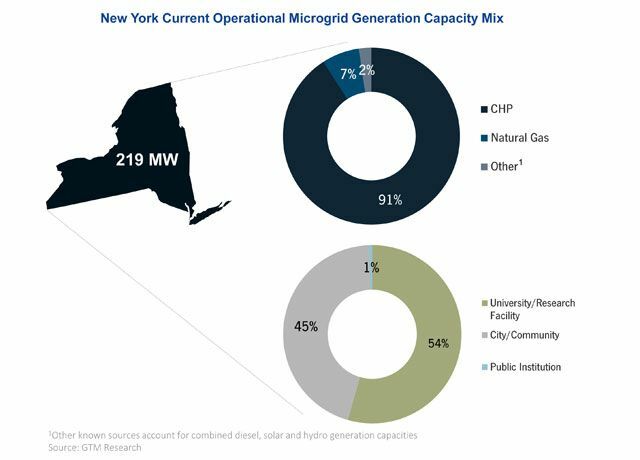 New York is the leader amongst seven states that dominate in terms of installed microgrid generation capacity. 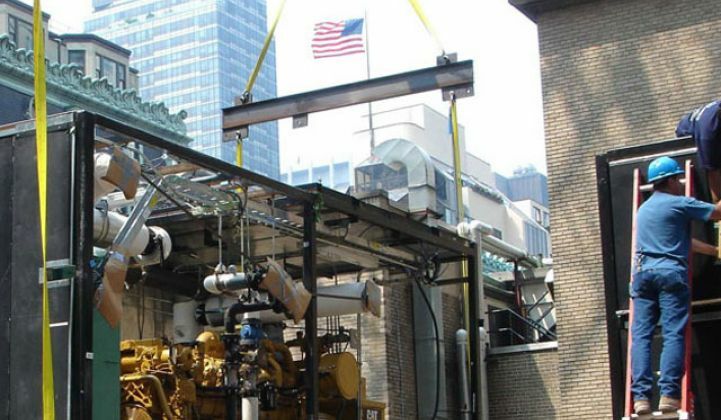 New York has about 20 percent of operational microgrid capacity in the U.S., mostly due to combined-heat-and-power microgrids in and around New York City. The winners, most of which are municipalities, will partner with other entities, including the local utility, community organizations, third-party energy consultants and energy companies. The majority of the proposals center around building microgrids that leverage solar, combined heat and power, and energy storage. A few also propose the inclusion of everything from wind to fuel cells to tidal power. They are mostly pitched as backup to critical facilities such as police and fire stations, water treatment facilities or venues that operate as shelters in emergencies. Some proposals also include transportation centers, hospitals, grocery stores, office parks or even individual homes in the microgrid. Saadeh’s recent report found a microgrid sweet spot of less than 1 megawatt of generation capacity, which is likely the range where most of these projects will fall. Many communities pointed to the devastating effects of Superstorm Sandy in their proposals, but others cited disparate events and trends including a debilitating ice storm in 1998, Tropical Storm Lee and devastating flooding in 2006, and extreme cold. Some municipalities may be more likely to move forward, either through the competition or with private financing, if they already have some components of a microgrid in place, such as existing combined heat and power and solar. There is much more that needs to be done before any of these projects can even come close to fruition. At this stage, some projects have proposed that the microgrids incorporate advanced controls or provide demand-side management, but others do not. “Things get a bit more serious in stage 2, where the scope expands to audit-grade engineering and financial analysis and cost-sharing is required,” notes Saadeh. It’s not just about moving through the stages of the NY Prize, Kotch insists. “This is not a zero-sum proposition,” he said. Some projects may move forward with one element, such as energy efficiency or community solar, or energy storage with some demand-response capabilities. Ideally, many microgrids will get built because their business cases are justified on the open market. As the energy market in New York changes in the coming years under the Reforming the Energy Vision initiative, the business case will improve for some projects. The more than 80 feasibility studies awarded funds could help to inform the policy that ultimately makes these projects attractive for third-party financing. All of the projects must submit their feasibility studies by February 2016, although the RFP for stage 2 will come later this year. Projects that already have completed feasibility studies but were not a part of stage 1 are eligible to apply in stage 2.